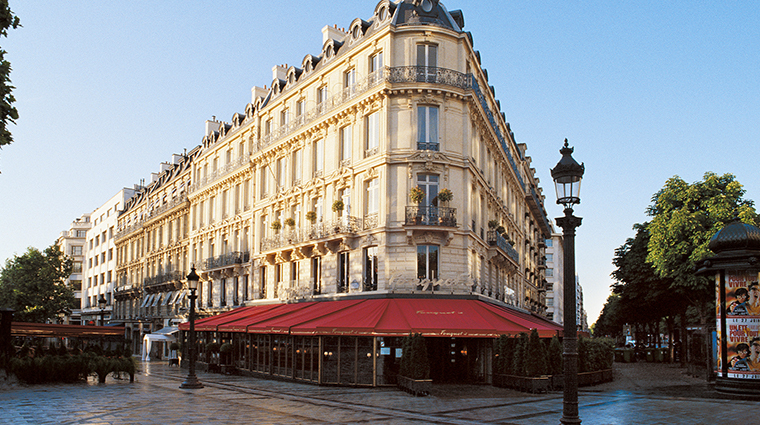 Hôtel Barrière Le Fouquet's Paris serves as a natural extension of the famed Fouquet’s restaurant. 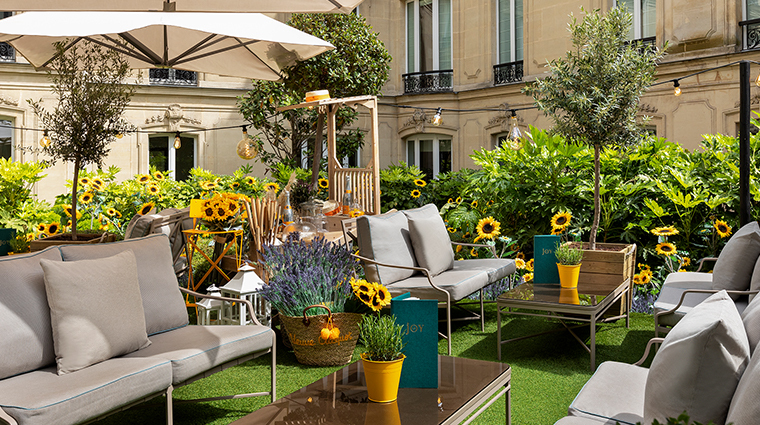 The adjoining hotel has quickly become one of a handful of ultra-luxury hotels in Paris since its opening in 2006. Noted for its opulent-but-tasteful modern interiors, fine dining and stellar service, this extravagant hotel is garnering an impeccable reputation. 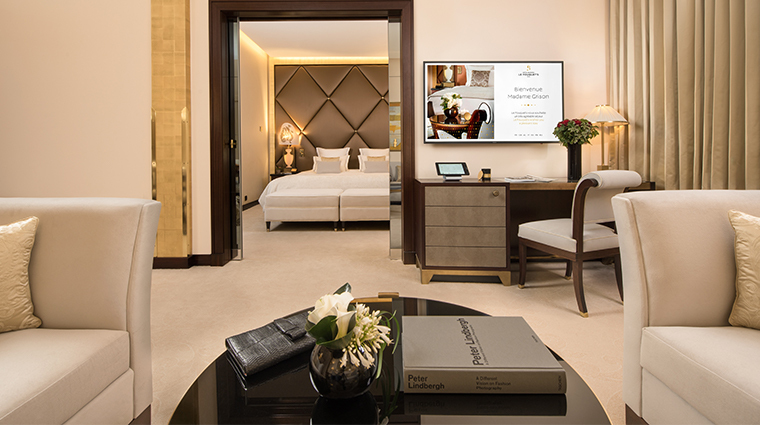 Renovated in 2017, the property will also boast a stunning expansion of 19 new rooms and suites by early 2019. The red awnings of the fabled brasserie Fouquet's on the corner of Avenue des Champs-Élysées and Avenue George V are as much an iconic symbol of Paris as the massive LV logo gracing the flagship Louis Vuitton store across the street. 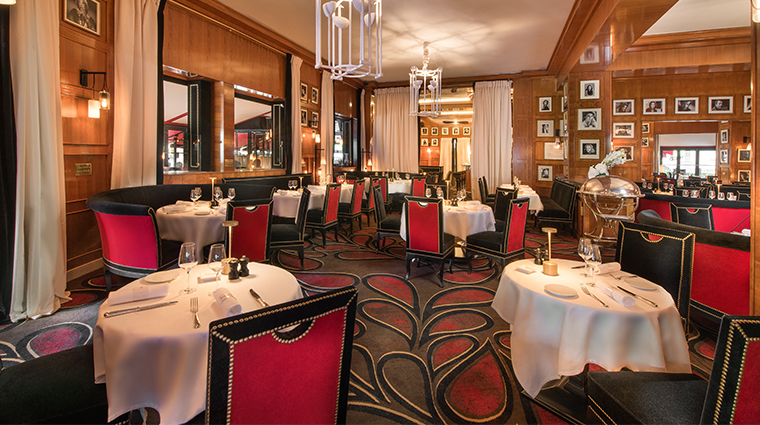 Fouquet’s has been a staple on the Parisian dining scene dating back to 1899 and has long been known for its extensive list of glamorous diners. 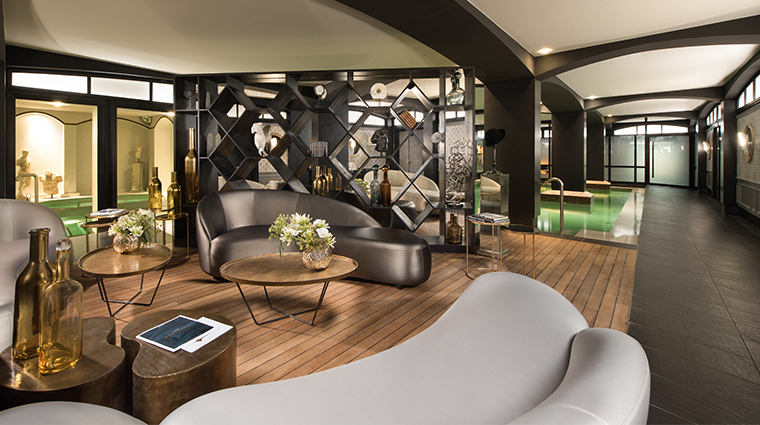 An overnight stay here just might be the most customized hotel experience in Paris. 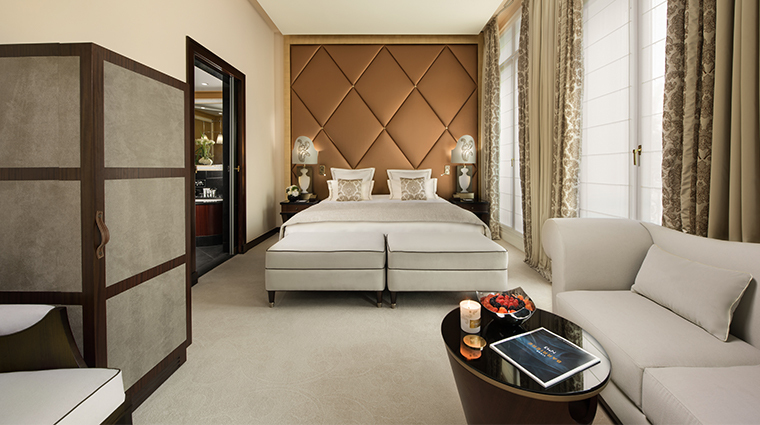 Guests in both rooms and suites are asked to choose their preferences on a two-page questionnaire prior to arrival. At 400 square feet, even the smallest rooms are large by Parisian standards. The bathrooms have televisions seamlessly embedded in the steam-proof mirrors and the remote controls that work them are waterproof. 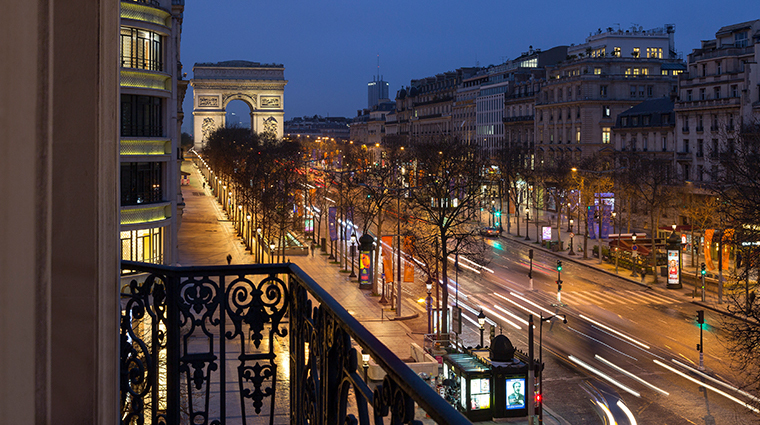 Located on the world-famous Champs-Élysées in the 8th arrondissement, the hotel is very close to the Arc de Triomphe and Jardin des Tuileries, a commercial street filled with tourists, shops (including Armani, Bulgari and Hermès) and sidewalk cafes. The nearby avenue Montaigne is laden with the world’s top luxury brands lined up like dominos along this see-and-be-seen street. Beyond shopping, the luxury hotel is near Grand Palais, Petit Palais, Palais de Tokyo, Fondation Louis Vuitton and Musée du Quai Branly. 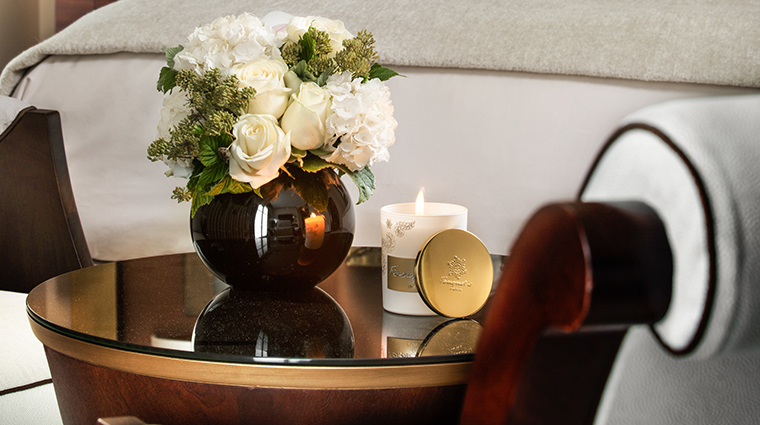 An array of relaxation and beauty treatments can be enjoyed at the hotel’s Spa Diane Barrière. The hotel’s 50-foot covered pool and aquatic circuit is open to guests every day of the week from 7 a.m. to 10 p.m.
On the first floor, stop by the fragrance boutique to try scents made exclusively for the hotel. A professional coach is available to offer motivation during your workout in the state-of-the-art fitness center. 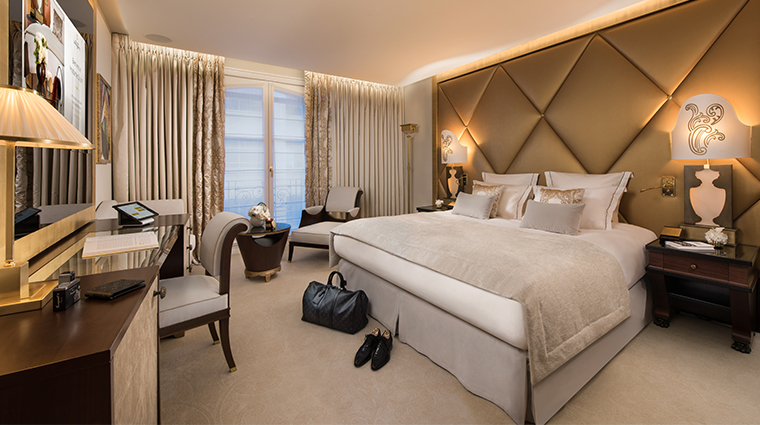 The 81 rooms and suites, elegantly redesigned by Jacques Garcia in 2017, welcome guests in Parisian comfort. 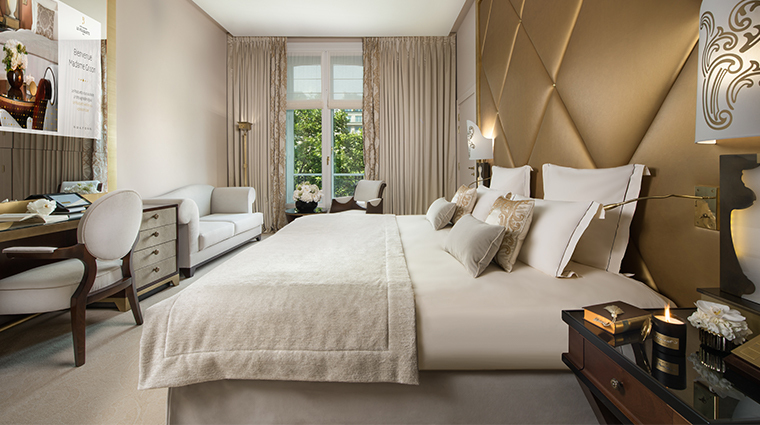 With shades of gold and black accents, rooms have a rich and somewhat masculine feel. Mahogany furnishings, offbeat bedside lamps, grand padded headboards, damask curtains and beige carpet offer a modern take on classic design. 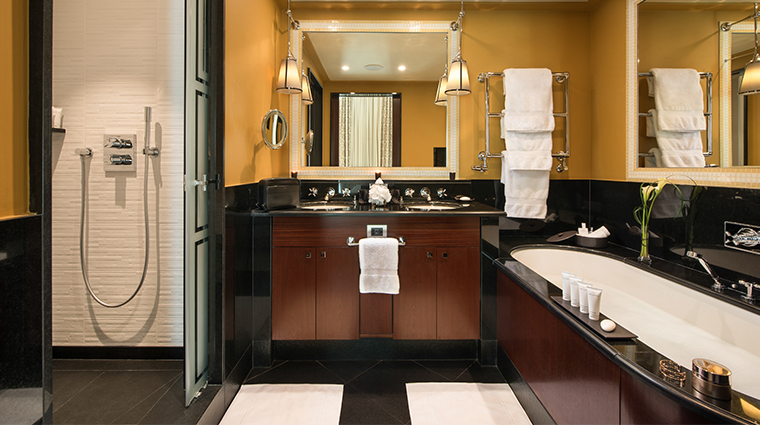 The bathrooms are outfitted with black granite and feature both a large soaking tub and separate shower. Almost every aspect of your stay is considered, including choice in bedding, mini-bar contents and newspapers. Regardless of the level of room you book, a butler will be assigned to your room to address your every whim. 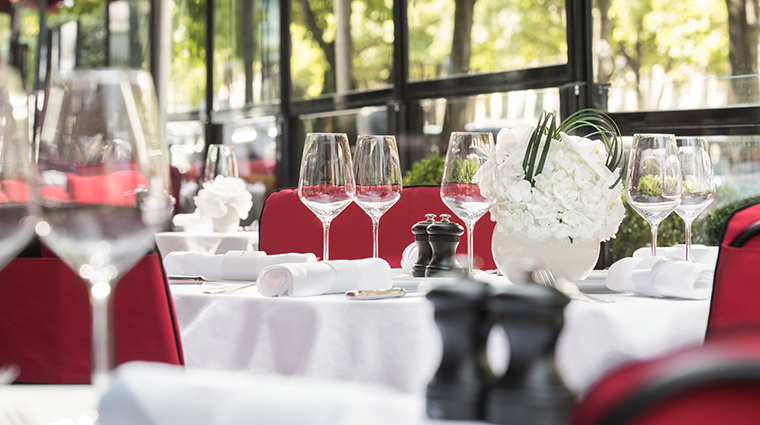 The legendary Fouquet’s serves appetizing meals for guests seeking classic French Cuisine done with chef Pierre Gagnaire's timeless touch. 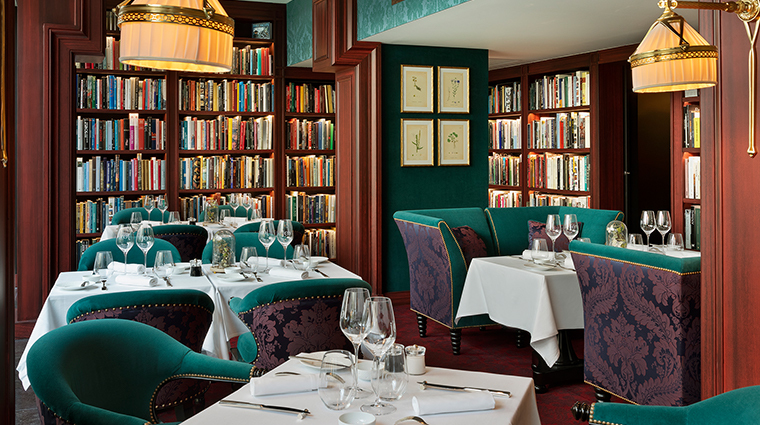 Enjoy contemporary French cuisine and an extensive cocktail menu while admiring Le Joy’s beautiful inside garden. 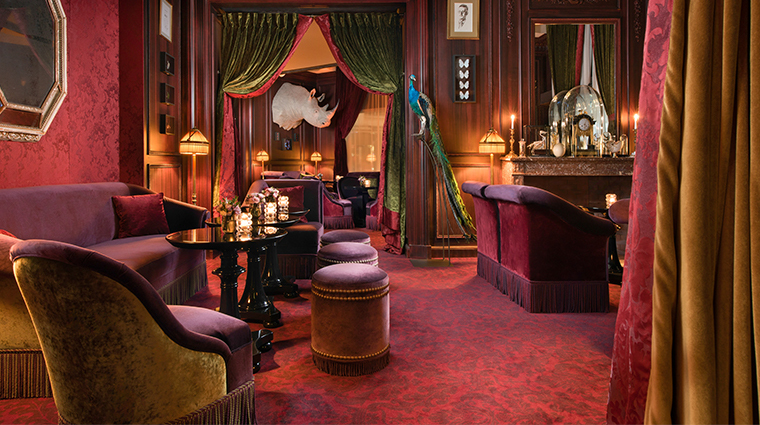 The hotel’s bar L’Escadrille honors its historic ties to aviation by featuring black-and-white portraits of aviators on its wood-paneled walls. A signature cocktail is the Green Hornet, which is crafted using gin and curaçao.